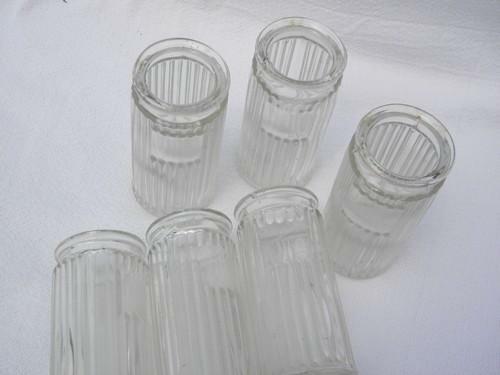 Set of six heavy old ribbed glass spice jars, 4 1/2" tall x 2" in diameter. These are nice, with the indents for paper labels. None have lids, but all look good, no chips, cracks, or roughness.